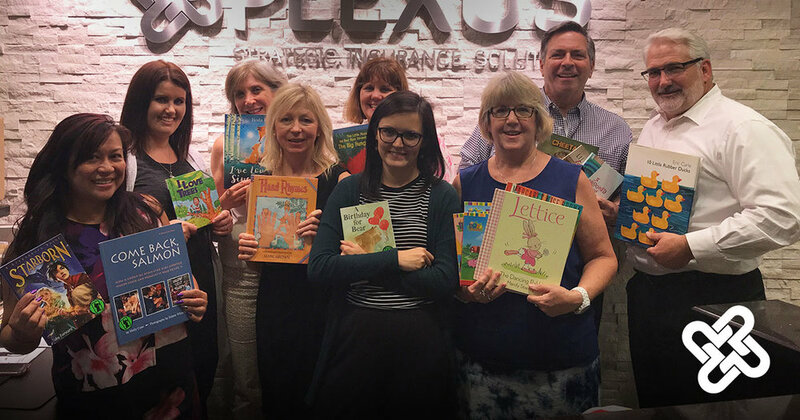 The Plexus Groupe is holding a book drive to benefit Bernie's Book Bank. The progressive insurance and risk management consultancy firm, providing solutions for clients around the globe, has a goal of collecting 500 new and gently used books for readers through sixth grade by August 1, 2018. According to the Chicago-based book bank, 2 out of 3 low-income children have no books of their own. Bernie’s Book Bank, the city's largest provider of quality children’s books, is changing that with 12 books per year for 12 years. Since 2009, the organization has collected 12,659,768 books since 2009 for young readers. If you would like to donate books, drop them off at the company's headquarters located at 21805 W. Field Parkway Suite 300 in Deer Park.